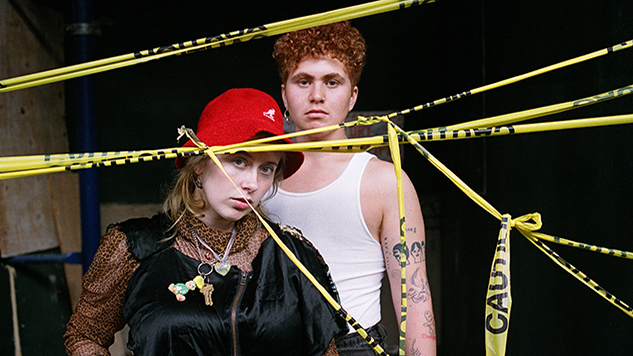 Girlpool Announce New Album, Share New Single "Hire"
Girlpool have shared “Hire,” the latest single off their newly announced forthcoming album What Chaos Is Imaginary, due out Feb. 1, 2019, on ANTI- Records. “Hire” follows the pair of songs Girlpool released earlier this year, “Lucy’s” and “Where You Sink.” While “Hire” is a more rollicking ride, it shares a tenderness with those previous releases. The central revelation of all of these songs is co-vocalist Cleo Tucker’s voice—Tucker transitioned after the band’s last album, and their voice is now a hearty, wounded baritone. The band’s signature harmonies feel weightier, Tucker’s vocals landing with heft while Harmony Tividad’s ethereal coos swirl overhead. “Hire” finds Tucker maxing out their dynamic range, slowly raising the stakes from hop-along valleys of groove to scorching peaks of winding screams. The possibilities raised by the band’s new vocal dynamics are far-reaching, and “Hire” is a bracing proof of concept. Listen to “Hire” and check out Girlpool’s 2017 performance at the Paste Studio below. The band will be touring with Hatchie in 2019—find their full list of tour dates further down.